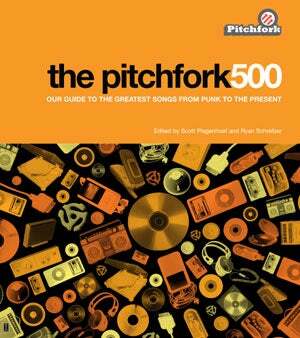 As you may have already read on Pitchfork, the long-running music site will be publishing a book (well, Simon & Schuster will technically be publishing it) in November called The Pitchfork 500: Our Guide To The Greatest Songs From Punk To The Present. It'll offer 500 essays on essential songs, as you could probably glean from the title. Sounds pretty cool to me, and I bet you commenters have some opinions, too. Here's the official site for the book, where you can listen to some of the tracks.